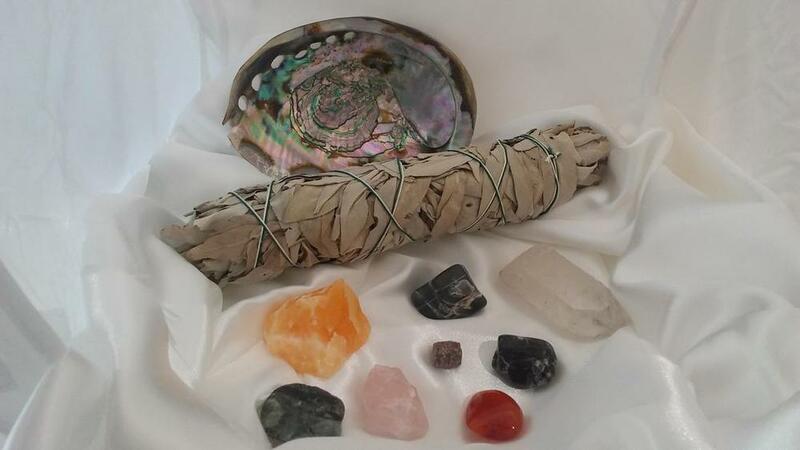 Deluxe Collection - Ruby, Orange Calcite, Gray Moonstone, Emerald, Carnelian, Rose Quartz, Onyx, Quartz, & a bundle of Sage & Abalone Shell or a Palo Santo Pack. setting of realistic goals. Balances the heart & instills confidence. negative energies from your path. adrenals, kidneys, reproductive organs, & spleen.